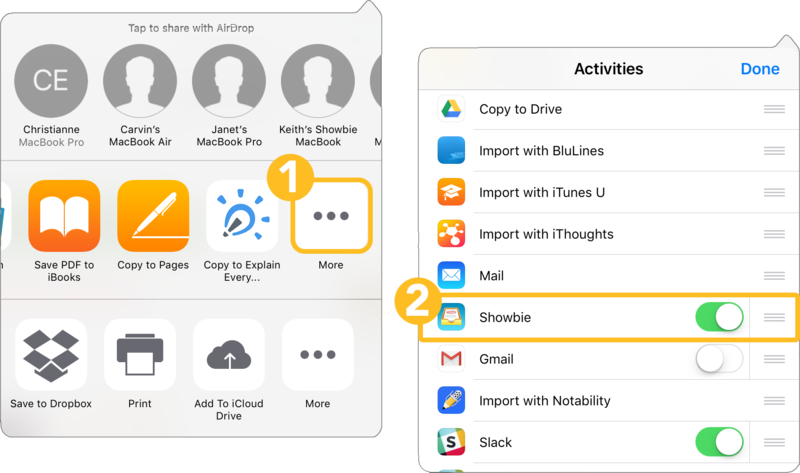 There are thousands of apps you could use to create work to share in Showbie. The step-by-step process for each app will be somewhat different but in this guide, we’ll cover how it’ll generally look. Don’t see Showbie in the list of apps to share your file? Now when you tap Done and back to the list of apps to share your file to, the Showbie app should be an option. Once you select Showbie, you’ll be able to choose where in Showbie you’d like to upload the file. Showbie allows you to upload content to everyone or to certain students. You can select Share with Everyone or Select Students to choose who receives your uploads. When you tap Add File, your file will start getting uploaded to Showbie! In Showbie, go to the folder you would like to upload your file to. In the other app, go through the sharing process as explained above. 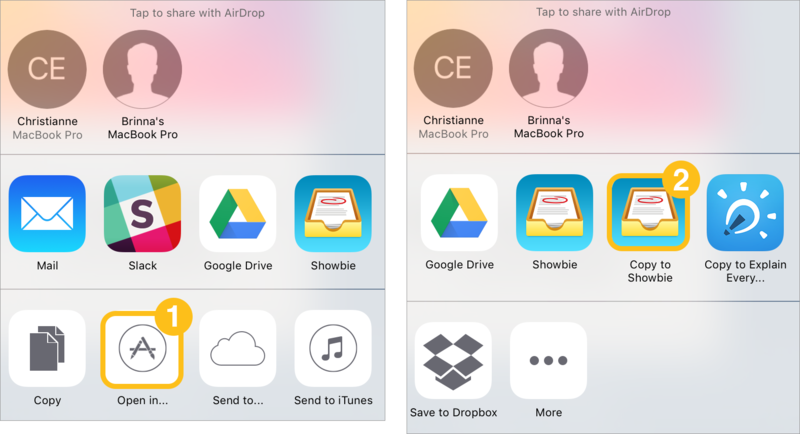 When choosing which app to share your file to, look for the Copy to Showbie option. 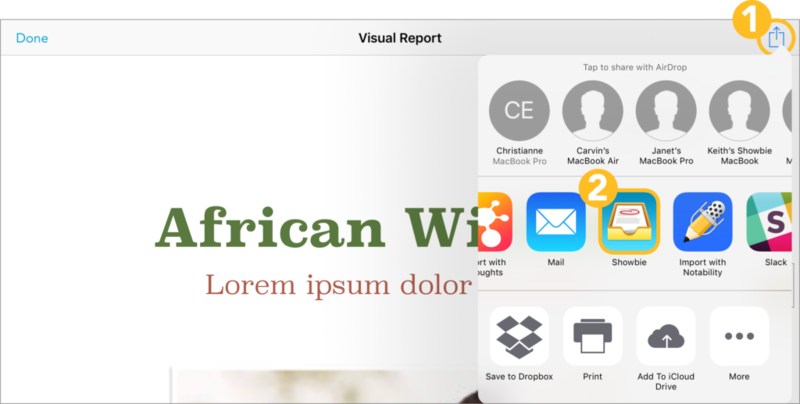 You may have to tap on Open in… to be able to see the Copy to Showbie option.